Top 10 natural cures for insomnia to help you get a peaceful night sleep. Learn what insomnia is; what causes it; and what treatments for insomnia work! Insomnia is a symptom, not a stand-alone diagnosis or a disease. The definition for insomnia is the difficulty falling asleep or staying asleep. The inability to get a good night's sleep is often caused by worry, emotional stress, and exhaustion. Other causes include pain, excess caffeine, alcohol and drugs, food allergy, or sleeping in a stuffy room. Insomnia can also be a symptom of depression. Drugs for insomnia can be addictive and have harmful side effects. Is it not worth your time and effort to try some of these remedies for insomnia? 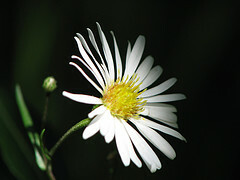 CHAMOMILE: Considered one of the best cures for insomnia. Soothes nerves and promotes more restful sleep. HERBAL SLEEP: Contains valerian root, passion flower, and hops. A synergistic blend of herbal ingredients that promote restful sleep. See our herbal sleep products comparison to review this and two other very effective products. NUTRI-CALM: This is my insomnia cure. I take one tablet before I go to bed and sleep soundly all night. Increase your intake of vitamins: B, C, Folic Acid, Zinc, and Calcium. Try a calcium supplement before bed. Also, increase your intake of THIAMINE (Vitamin B). Foods high in thiamine are nuts and wholegrain cereals or take a supplement. 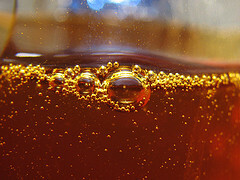 HONEY: Add 2 teaspoons of raw honey to 1 cup of water or milk. Drink before sleeping. AVOID STIMULANTS AFTER TWILIGHT: Coffee, colas, even regular chocolate contain caffeine, a powerful stimulant that can keep you up, so try not to consume them after 4pm. Don't smoke either. Nicotine is a stimulant too. QUESTION YOUR MEDICATION: Certain medications such as asthma sprays can disrupt sleep. If you take prescription drugs routinely, ask your doctor about the side-effects. If he suspects the drug could be interfering with your sleep, he may be able to substitute another medication or adjust the time of day you take it. TAKE A HIKE: Get some exercise late in the afternoon or early in the evening. It shouldn't be too strenuous...a walk around the block will do just fine. Not only will it fatigue your muscles, but it will raise your body temperature. When that begins to fall, it may induce sleepiness. Click here for more home remedies for insomnia.